Two, chances of the domestic unit crossing past 75 aren’t being ruled out, leaving exporters and traders worried. 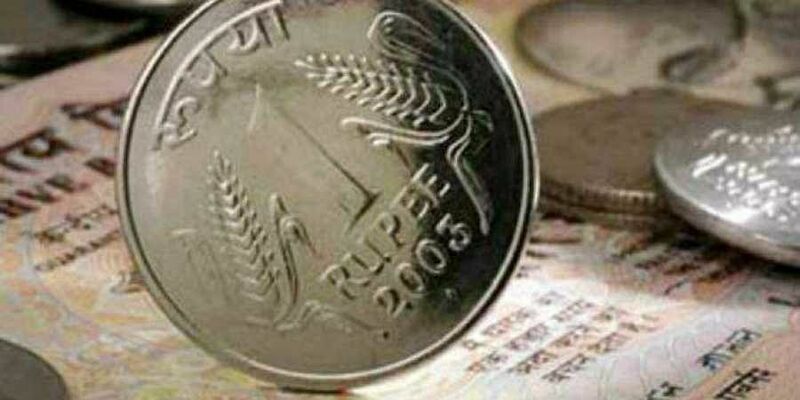 MUMBAI: The rupee closed above 74.2 against one US dollar Wednesday, for the third day in a row. This should worry policymakers and economists for two reasons — one, a 74-level that until recently was just unthinkable has not just been breached, but is also sticking around. Two, chances of the domestic unit crossing past 75 aren’t being ruled out, leaving exporters and traders worried. Making matters worse is the uncertainty around rising global fuel prices, widening current account deficit and fiscal deficit, and the Reserve Bank of India’s (RBI) unwillingness in determining the fate of the exchange rate. “RBI has for long maintained that it steps in only to curb undue volatility and doesn’t target any currency level. That stance places the authority behind counterparts in Indonesia and the Philippines, which have been actively supporting their currencies,” said Madhavi Arora, economist, Edelweiss Securities Ltd. The brokerage expects rupee weakness to persist, and even head toward 75, “unless some additional assertive policy steps come through”.This is perhaps the worst time for rupee in the past decade and according to Bloomberg Research, the rupee has been falling for six straight months, which is its longest stretch since 2002. “We continue to look for the USD-INR to head towards 75, factoring in our view of at least four rate hikes by the US Federal Reserve over the year, which will be dollar and rates positive,” said Radhika Rao, economist, DBS Group Research. Last week, RBI Governor Urjit Patel stressed that rupee depreciation was moderate compared to its emerging market peers. He reasoned that the currency weakened by 5.6 per cent in nominal effective terms since March, while in real effective terms, it fell only 5 per cent — in contrast to countries like Turkey, whose currency lira fell over 40 per cent. However, currency experts argue that rupee lost nearly 13 per cent so far this year and is the worst performing Asian currency. And with the central bank refusing to intervene — unlike Argentina or Indonesia, who used the monetary policy tools, i.e. raising policy rates to defend the currency slide — the domestic unit plunged past the 74 level and is living in fear about its future direction. Meanwhile, a Reuters poll of over 50 currency strategists last week also showed the rupee was seen trading around the current rate, about 74 per dollar, in three months and strengthening just a bit to around 73 per dollar in a year. Worryingly, the weakest forecast stood at 78, while the strongest rupee outlook was 67.97 compared to 75.6 and 66.1 respectively in its previous poll.